I’ve always been a sucker for a salty-sweet combination, and Sahale Snacks (pronounced “sah-HA-lee”) did not let me down one bit. Of all of the flavors, I think the Valdosta Pecans with Sweet Cranberries, Black Pepper + Orange Zest were my favorite. It’s such an unusual combination, but it’s seriously hide-the-bag-from-the-kids good! 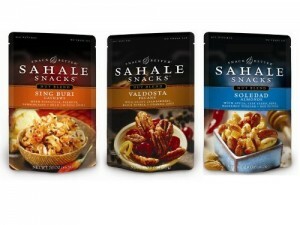 Sahale Snacks are now available at Walmart for the special retail price of $3.88 a bag. Other flavors you’ll find in stores include Sing Buri Cashews with Pineapple, Peanuts, Lemongrass + Mild Chinese Chili; Almonds with Cranberries, Honey + Sea Salt; and Cashews with Pomegranate + Vanilla. Four lucky Deal Seeking Mom readers will each win a Sahale Snacks Prize Pack that includes 4 bags of Sahale Snacks and a canvas Sahale Snacks apron. To enter, tell me what your favorite nut to munch on is. Do you have an affection for pecans, or does the creamy cashew have your heart? 1. Leave a comment. What is your favorite nut to munch on? 2. Join the Sahale Snacks community on Facebook. Come back and leave a separate comment letting me know you’ve done so! 3. 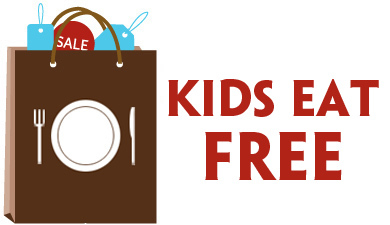 Follow @DealSeekingMom and @SahaleSnacks on Twitter and tweet the following. Be sure to come back and leave a separate comment with the link to your tweet! This giveaway ends at 2:00 p.m. 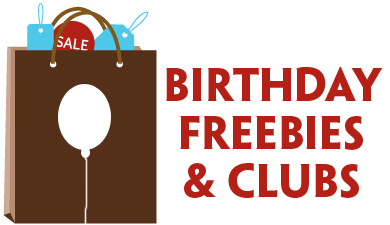 ET on Thursday, July 22nd and is open to all U.S. residents 18 years or older. I’ll use Comment Contest to select the winning comment. Winner will be notified by email and listed on my Giveaway Winners page. Winners must respond within 48 hours of notification to claim their prize. Good luck! Almonds are my favorite nut and it can not hurt to add chocolate! I love pistachios but I hate shelling them!!! I am a nut freak, but I would say almonds are my favorite! I love yummy pecans, almonds, and macademia nuts! I’m an email subscriber! Love your blog!